As much as I love Kim Kardashian, I'm not yet sure how I feel about her "breaking the Internet" with the release of the Paper magazine spread. 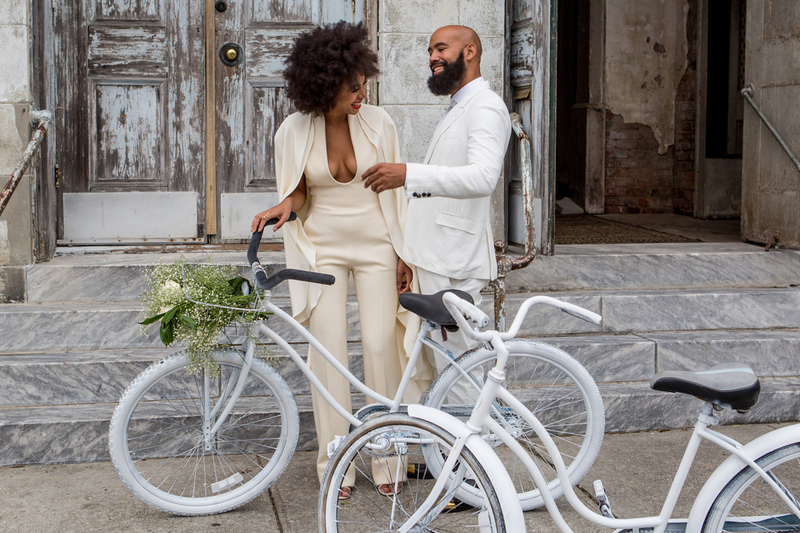 On Sunday, Solange Knowles got married in New Orleans to fiancé, Alan Ferguson, and those beautiful photos of holy matrimony rightfully broke the Internet -- and while being fully clothed. I think my entire Instagram feed was filled with the same, exact photos, but I gave the red heart to each and every one because I couldn't get enough of them! I've always been drawn to Solange's eclectic 1970's style and she was most certainly serving it this weekend. I think that every girl's first thoughts were "I want to take my wedding photos like this!" -- guilty. I'm not only in awe, but I'm so inspired! For the ceremony, Solange was dressed in a gorgeous Humberto Leon for Kenzo gown while Alan was suited in all-white Lanvin.